China’s Wang Zhiyi overcame spirited resistance in her last group match to qualify for the Women’s Singles quarter-finals at the Youth Olympic Games 2018 in Buenos Aires today. 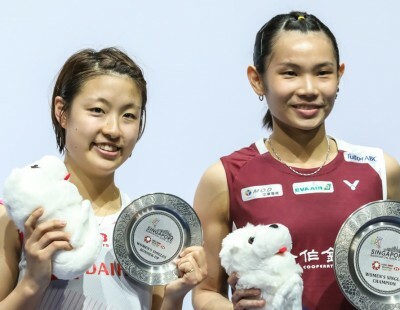 The World Junior No.1 (featured image) had to dig deep to make her way past Japan’s Hirari Mizui in the feature match of the day. A place in the quarter-finals was on the line as both had won two matches earlier in Group H.
The Japanese, having lost the first game at 10, forced herself back into the reckoning with her steady game, stonewalling the attacking Wang and taking the match to the decider. It was level until midway in the third, with Wang looking increasingly vulnerable in the long rallies. However, a spell of erratic play from Mizui gave Wang the breather she needed, and she closed out the match 21-10 17-21 21-16. 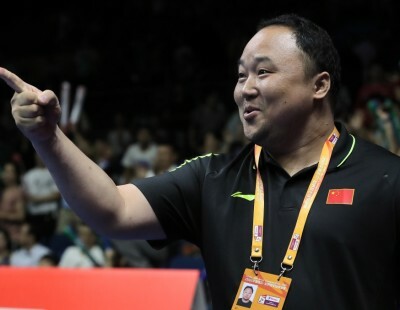 Wang takes on Chinese Taipei’s Huang Yinhsuan, who topped her group with an all-win record. In her final group match today, Huang outclassed Brazil’s Jaqueline Lima 21-9 21-15. The other quarter-final in this half pits Singapore’s Jaslyn Hooi against USA’s Jennie Gai. 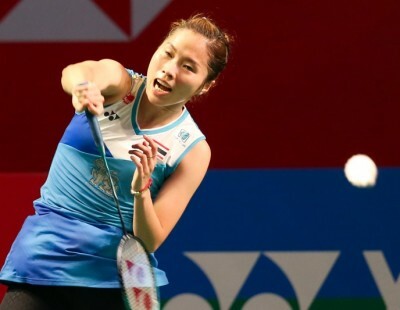 Hooi, who had broken down in a flood of tears on court after losing yesterday to Great Britain’s Grace King, regrouped for today’s final group match with her quarter-final place at stake. Hooi not only had to beat Turkey’s Nazlican Inci, she had to win in straight games to be certain of topping her group. 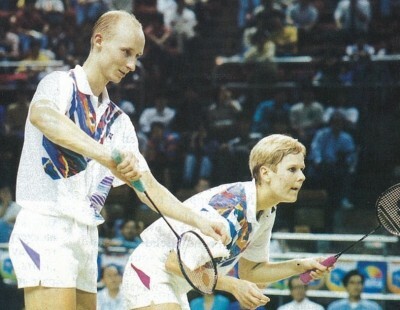 And although she wasn’t aware of the equation, she did what was needed, stopping Inci 21-16 21-12. Title favourite Goh Jin Wei (Malaysia) encountered an unexpectedly bumpy path after initially cruising against Germany’s Ann-Kathrin Spoeri. The former World Junior champion appeared to be in a rush to close out the match as she pocketed the opening game at seven, only for Spoeri to mount a feisty fightback in the second. 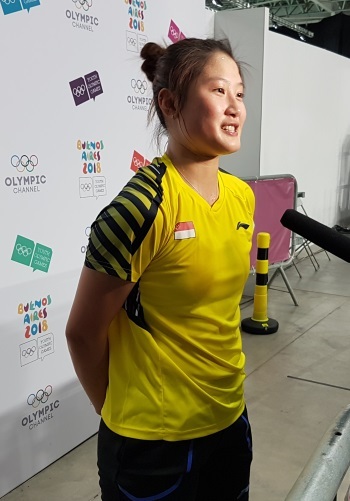 The German, having been caught short of her ground with Goh’s sharp drop shots in the opening game, started anticipating better and forced a third game. 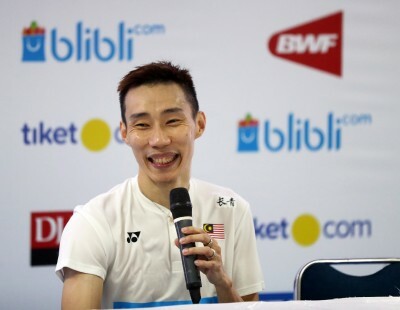 Goh was unruffled despite the setback and was again dominant in the third to take the match 21-7 18-21 21-9. Goh’s quarter-final opponent will be Vietnam’s Vu Thi Anh Thu, who topped Group D beating Bulgaria’s Maria Delcheva 21-18 21-12. The top of the draw will see Thailand’s Phittayaporn Chaiwan take on seventh seed Vivien Sandorhazi (Hungary). 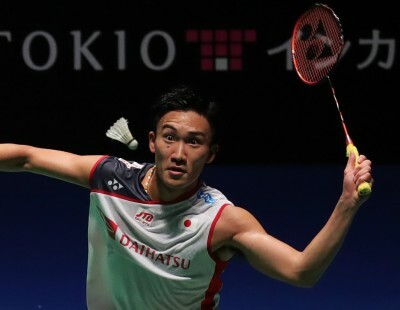 The Men’s Singles too saw all the favoured names making it to the quarter-finals. 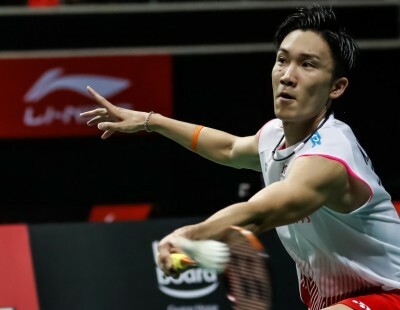 Top seed Kunlavut Vitidsarn eased past Singapore’s Joel Koh 21-14 21-18 and will take on France’s Arnaud-Sylvain-Andre Merkle, while Ireland’s Nhat Nguyen faces fifth seed Li Shifeng of China. 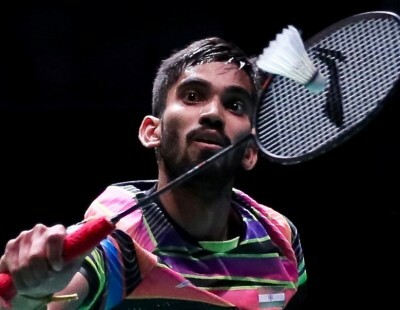 The bottom half will see Indonesia’s Ikhsan Leonardo Imanu Rumbay in a clash against India’s Lakshya Sen, and second seed Kodai Naraoka against Chinese Taipei’s Chen Shiaucheng. The Team Relay event saw two ties go down the wire. Epsilon beat Delta by the razor-thin margin of 110-108, while Gamma also had a similarly close win over Theta, 110-107. Epsilon were 93-99 going into the last match before Spain’s Tomas Toledano pulled them ahead, beating Hungary’s Balazs Papai to give his team a two-point victory. Gamma maintained a narrow lead from the fourth match onwards, but Theta were within two points at 97-99 going into the tenth and last match. 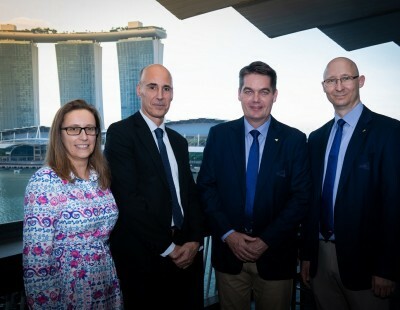 Singapore’s Joel Koh and Peru’s Fernanda Saponara Rivva saw Gamma through, edging Germany’s Lukas Resch and Australia’s Zecily Fung for a 110-107 victory. In the quarter-finals, top seeds Delta face Theta and Alpha play Gamma in the top half, while second seeds Omega face Epsilon and Zeta take on Sigma in the lower half of the draw.